A continuous process that knows no geographical or sectoral bounds is disruption. At the heart of this transformational change is undoubtedly Asia, but what is different today is the absolute pace of disruption and the scale and depth at which its effects are felt. Technological advances, policy and regulatory changes, and an ever-growing consumer population keen to adopt the latest technologies are all pushing Asia to the frontline of disruption. Technology is often the first theme that comes to mind when we think of disruption. Asia is a hub for this development, with information technology companies accounting for 26 percent of the MSCI Asia Pacific ex Japan Index. Technological advancements are enabling new companies to challenge established companies and industries at a faster rate than ever before. The promptly growing take-up of online and mobile services is a key component of this. In China, more than half the population is using the internet, smartphones and mobile internet services. The Chinese consumer has also been quick to take advantage of advances in digital payment with 37% using mobile payment systems - compared to only 15% in the US - the country is well on its way to becoming a cashless society. Converging with this shift in consumer preference is the expanding trend of the cloud, which has evened the playing field by allowing companies to access their consumer base anytime, anywhere and at very low costs. 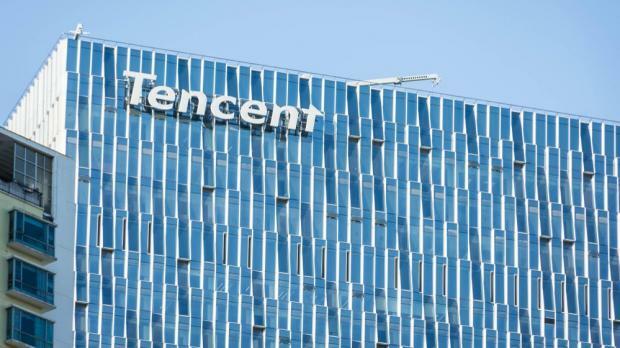 This can be seen through China’s web giant – Tencent. The company now has more than one billion monthly active users across its social, messaging and gaming ecosystem and demonstrates the benefits that are gained from seamlessly connecting with consumers. Even though successful challengers indicate levels of disruption at a company or sector level, it is worthwhile highlighting that some of the best investments in the region so far have been from incumbents that have successfully maintained, or increased, their competitive advantage. As a case in point consider Taiwan's TSMC, the world's leading semiconductor founder. Given the company’s position as an enabler of disruption and technology evolution, it has developed a mutually beneficial relationship with its clients, sharing the rewards of its technological advances and delivering attractive and consistent returns to shareholders. To achieve this, the company has had to move quickly to embrace and adapt to changes in the devices that are utilizing its technology. Within the more emerging markets in the region, the financial services sector has been a very successful investment. Private sector banks in India, and the larger banks in Indonesia, are benefiting from the earlier stages of economic development in these countries. There’s no doubt that more competition will be ahead for these banks, but they can remain on their upward course if they continue to tap into an under-exploited consumer base with its underlying demand for mortgages and other financial products. While these demographic currents may boost their revenues, it will be important for these companies to maintain their prudence and risk management. The main platform for technological advancement is undoubtedly Asia's strong macro-economic advantage over some of the older developed economies. The region's consumption and demographics profile provides grand opportunities to companies operating in the region. Asia's GDP as a whole is growing at a significantly rapid rate unlike global GDP and is very much expected to sustain this in the decades to come. It also has a growing middle class that is keen to consume, with growth in household expenditures rising exponentially over the past decade. Despite these drivers, Asia remains unappreciated by investors and underrepresented in global indices. Volatility has historically been - and most probably will remain - higher in emerging markets than within developed markets, but the level of returns has rewarded the long-term investor. Other policy and regulatory developments also play their part in disruption in the region. The recent US-China tensions around the escalation in trade tariffs, for example, highlight how government policies or major events can also lead to disruption both in terms of stock market sentiment and company fundamentals. The thought that Asian companies compete on low labour cost is an outdated traditional way of thinking. Nowadays, the region offers product innovation and successful customer-centric business models that are enticing investment opportunities. Although in recent months there have been negative headlines surrounding intellectual property theft, when it comes to truly innovating and providing the best solutions for their global clients, many Asian companies have been the leaders of the pack.